The United States is, if nothing else, a country that values individuality. It’s a vast turnaround from places like Russia, where being a in line with the community is far more important, and where too much expression of individuality is often looked upon with a scathing eye. But here, we love honoring individuals for their accomplishments and greatness. We have a Rock n’ Roll Hall of Fame. We have a Hollywood Walk of Fame. There exist halls of fame for every big national sport. Even coaches have a hall of fame. 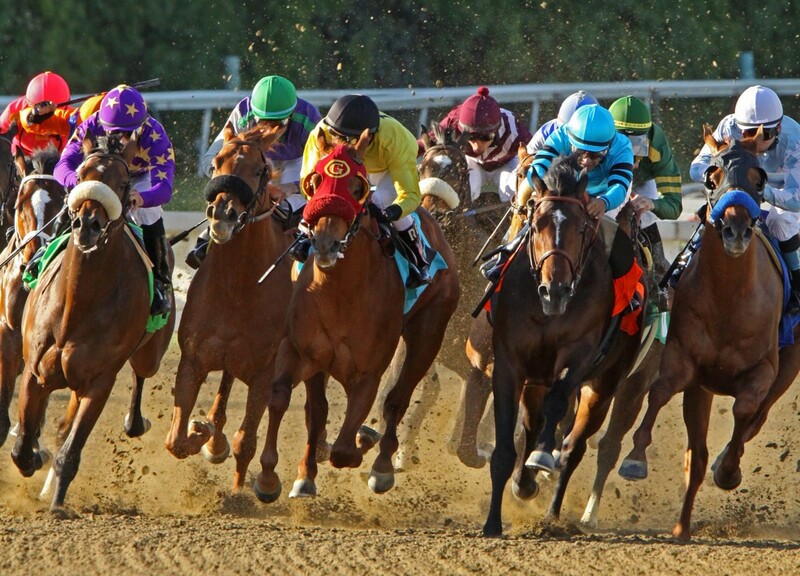 And now, racing horses have their very own walk of fame. Called the “Hoofprints Walk of Fame” and located at the Saratoga Race Course, this new monument will look much like the Hollywood Walk of Fame, but will instead honor “the most prolific and notable horses to have raced at one of the nation’s most historic tracks.” Its opening coincides with the course’s 150th anniversary celebrations, which are taking place all throughout this summer. 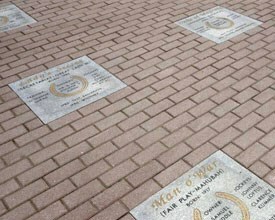 Saratoga’s new “Hoofprints Walk of Fame,” honoring the most accomplished horses to ever race at the track. The Hoofprints Walk of Fame is a joint project between the Saratoga 150 Committee and the New York Racing Association (NYRA), whose board members include prominent figures like Earle Mack, Bobby Flay, and David Skorton. Bobby Flay, who has raised hundreds of thousands of dollars for Thourougbred retirement, was honored just last month with the Earle I. Mack Champion Award—which is given annually to individuals who demonstrate outstanding efforts and influence on Thoroughbred welfare, safety, and retirement. The inaugural class includes stars such as Affirmed, Chief’s Crown, Easy Goer, Equipoise, Granville, Henry of Navarre, Lady’s Secret, Regret, Secretariat, Top Flight, and Whirlaway—among many others. Check out the full list of horses honored this summer on the NYRA website.